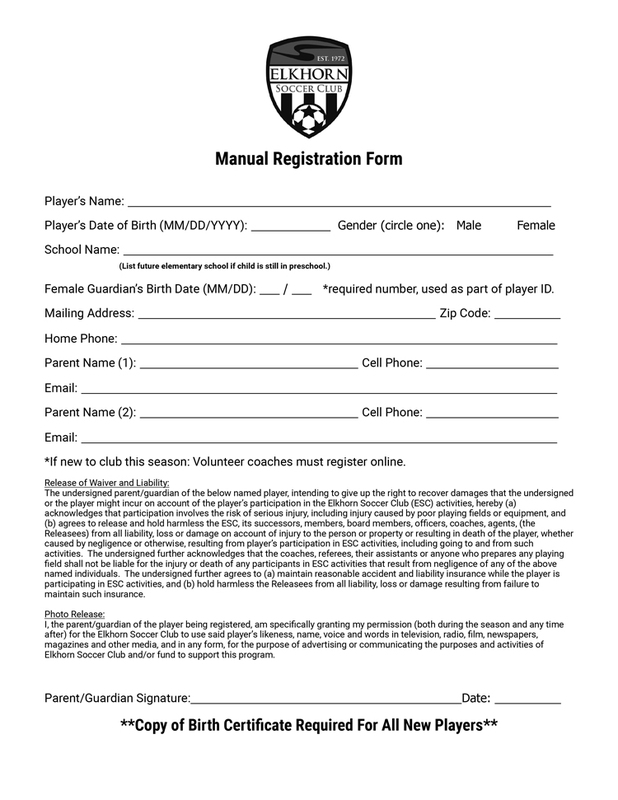 Manual registration will open when online registration closes for the season in order to ensure that your child is placed onto a team. Please click on the image below to download the PDF of the form. Please contact Anne Schafer, clubadmin@elkhornsoccer.org or (402) 452-3655, for additional questions.